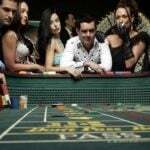 Research by Britain’s Gambling Commission has shown that bookies across the UK have made £1.55 billion ($2.54 billion) in the last financial year after Britons shelled out a staggering £46 billion ($75.4 billion) on betting machines, triggering calls for restrictions to be put in place on both betting stakes and available prizes on fixed-odds betting terminals (FOTBs). 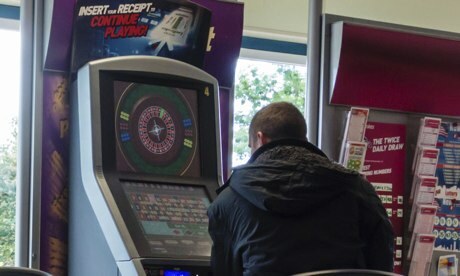 The terminals, which have been described as the “crack cocaine” of the high streets, allow punters to lose up to £200 in just 20 seconds on games such as roulette, and have been linked to drug money laundering. Although there are obvious harmful effects caused by the terminals, there are still 33,000 of them placed throughout the high streets of the UK. 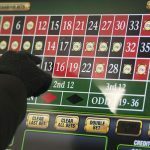 However, Labour MPs are looking to override the review and attempt to make the restrictions a legal obligation; even terming the fixed-odds betting machines a “menace” to the high streets of the UK. “The government has it in their power to act,” explained Labour MP Tom Watson to British media. “We hope to persuade them this is now an urgent matter”. Currently, the maximum stake on the majority of fruit machines throughout the country is £2, but at the fixed-odds betting terminals, thousands of pounds can be lost in a matter of hours. 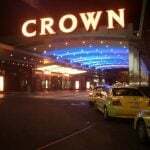 The figures released to date show an almost 50 percent increase in financial numbers compared to four years ago, and explain also that the bookmakers’ take from fixed-odds betting machines has risen to 49.4 percent from 33.9 percent since 2008. Last year’s profits of more than £1.5 billion are up by seven percent on the previous year, and the betting machines are said to account for nearly half of the total turnover for betting outlets. Adding even more of a shock factor to the figures was the release of statistics showing that almost 600,000 children were caught in betting outlets throughout the UK last year, which is around six times as many as 2009 according to figures from the Gambling Commission. Not clear what age they are designating as “children,” but we will assume they mean teenagers at the very least; and certainly, bookies need to be held criminally liable for allowing those obviously underage into their betting establishments. 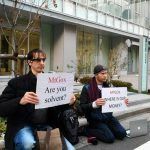 On the plus side, the number of people who have “self excluded” themselves from betting outlets due to uncontrollable gambling habits has also increased almost 100 percent over the last four year from 11,424 to 22,485. Perhaps this figure actually goes some way to show that people can take care of themselves and don’t need the government to babysit them.